"Deluxe Juicy Steaks Our Specialty. Panguitch means "Big Fish" in the Paiute language. 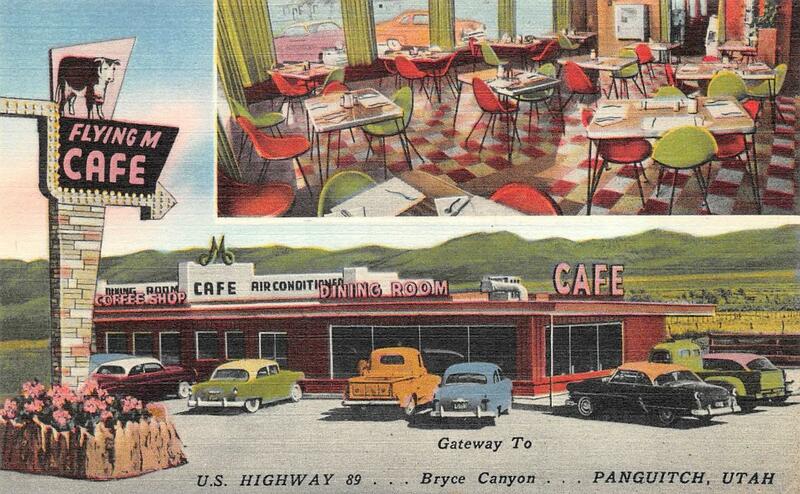 Panguitch City has been celebrating being on US 89 for longer than most local folks remember. It may not seem like it when travelers blow through Panguitch but there's a lot to see and do there. 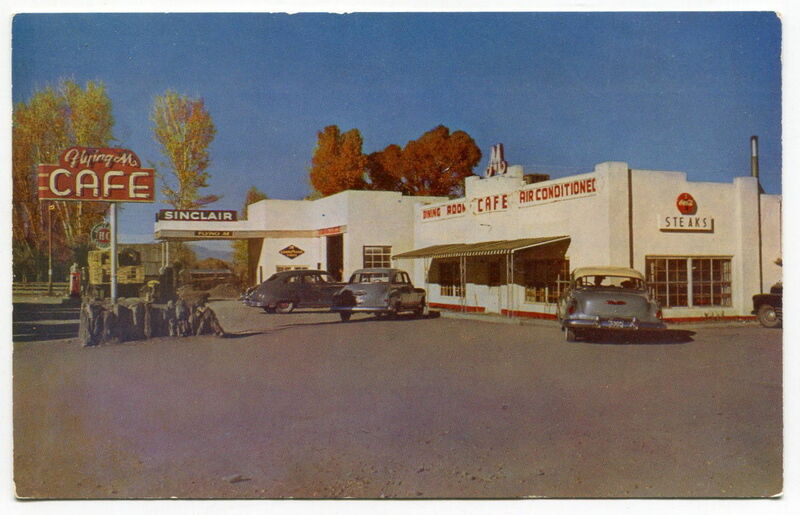 can look just like this once again when a classic car tour stops by. 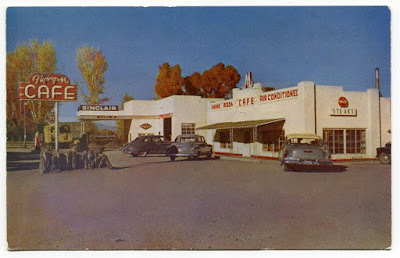 For US 89 Heritage Tourists there's only one place to eat--The Flying M. Sure, there are plenty of other choices but the Flying M has been around for longer than most travelers have been alive. 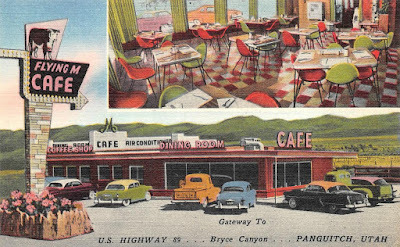 The Flying M serves up a normal menu of American Classic Diner Food. Four out of five social media reviewers rate it average or better. The Flying M is still well supported by the local folks and that's always a good sign. Everybody in Panguitch knows everybody else so word gets around real fast. The fact that the Flying M has managed to survive so many years in this small city is proof positive it's got something going for it. In the fall of 2017, The Flying M closed for the winter, the first time this has ever happened in the restaurant's history. It will reopen probably in May of 2018. Things are very slow in Panguitch during the "off season," as they call it when tourists aren't driving through. Whoever owns the Flying M these days has a sense of soup humor. The soup of the day is described both in words and art work on the restaurant's white board. We excerpted ten such pieces of soup art and made a 20 second video. Click either button to see reviews for the Flying M.
A snippet from the Flying M menu.